Sparkling Christmas Decor. View in your browser. 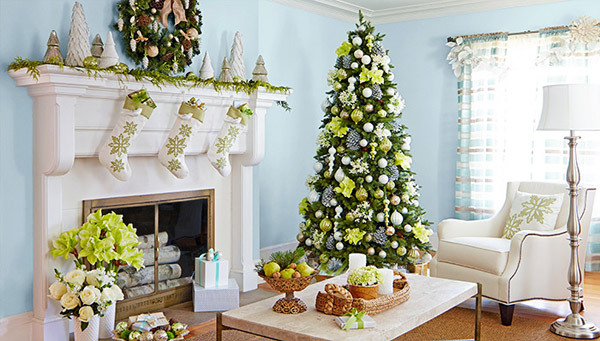 Turn a living room into a sparkling Christmas celebration with elegant accents and clever ideas using allen + roth™ decor. Set the table with an easy-to-make centerpiece that suits your personal style and will last through the season. 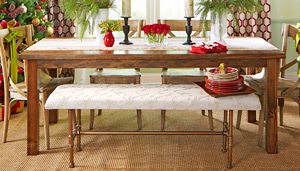 Make holiday meals special by decking your dining room in style. 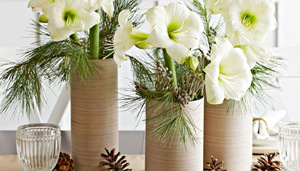 Learn how to lend festive flavor to traditional decor. 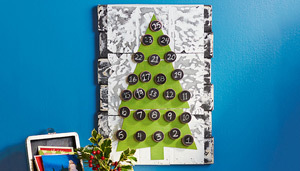 Distressed finishes give this decorative Advent calendar the look of a folk art classic. Make it your own holiday heirloom. Wake up your creative spirit this holiday season. 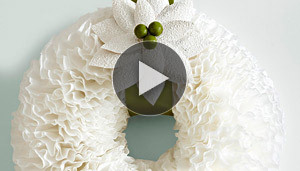 Make a wreath of artfully arranged coffee filters. 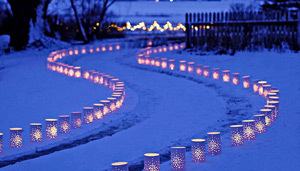 Brighten long winter nights with the twinkle and glow of luminaries. They are perfect for parties or everyday enchantment. 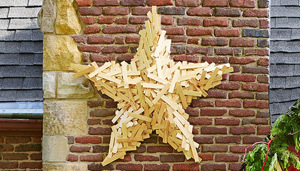 Build a supersize star that will become the highlight of your indoor or outdoor Christmas decorating. Our step-by-step instructions make it simple. 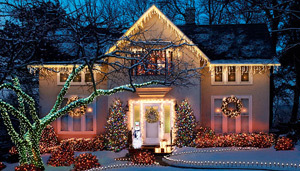 Delight guests and neighbors with outdoor lighting that conveys the joy of the season. 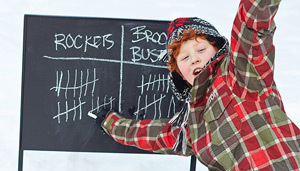 Turn this project into a scoreboard for outdoor games, or use it to post messages. With help from Lowe's, there's no cutting required. 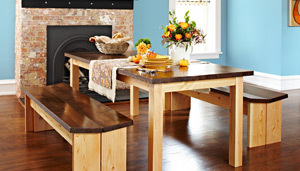 Turn rough construction lumber into top-notch material to make this affordable table and bench set. 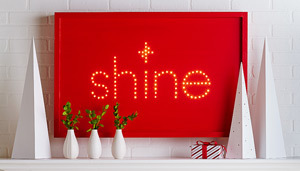 Let your holiday spirit shine, just like the lights set into this cheery wall sign. The simple assembly makes this an easy project for anyone to build. Cut, drill, and display. 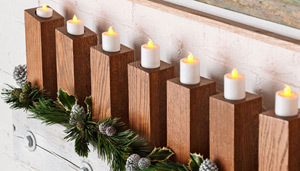 Make these candleholders and use them anywhere in your home. Assemble a few pipe fittings and add some plywood, a carpet pad, and a curtain for an easy-to-build bench. 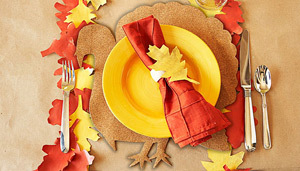 Create a special place for the kids to enjoy their Thanksgiving meal with autumn table runners, placemats, and more. This bright bookcase offers an enchanting twist for your little prince or princess. There's space for books and knickknacks, and an ample storage drawer at the bottom. 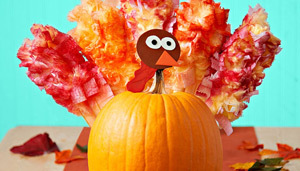 Use feather dusters to turn a pumpkin into a fun and easy turkey decoration for Thanksgiving. The entire family can have as much fun building this quick-and-easy project as they can playing checkers or tic-tac-toe. 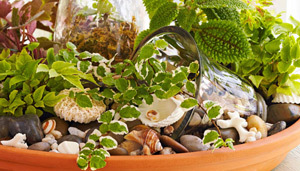 Exercise your green thumb during the winter months with an indoor miniature garden planted in a terra-cotta saucer. 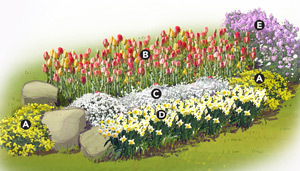 This simple garden plan can be planted in the fall and enjoyed next spring. See what plants pair best with your favorite tulips and daffodils. 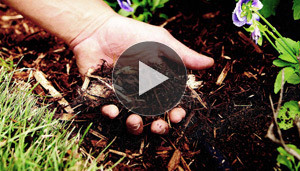 Follow Mother Nature's lead by laying down a protective layer of mulch before winter. It's a great way to protect soil and nourish plants. 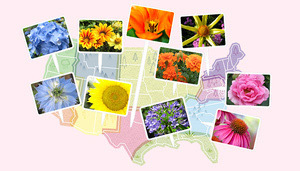 Check out any of our 10 regional contributors for gardening advice tailored to your region of the country. Download it today in the FREE Lowe's Creative Ideas Magazine app for the iPad and iPhone.